DALAKHANI (IRE) (Bay 2000-Stud Ire. 2004, Aust. 2013). 8 wins-3 at 2, Longchamp Prix de l'Arc de Triomphe, Gr.1. Sire of 632 rnrs, 362 wnrs, 52 SW, inc. Conduit (Breeders' Cup Turf, Gr.1), Reliable Man, Integral, Chinese White, Second Step, Seismos, Duncan, Shakeel, Moonstone, Alex My Boy, Defoe, etc. His oldest Aust.-bred progeny are 3YOs and inc Ruchla, Daruna, Davala, Godunov, Il Divo, Lakhoni, Able Engine, Casa Fortune, Gorille, Smoke Signal, Wild Sea and of the placegetters Astana, etc. WRITTEN BY (c. by Written Tycoon). 4 wins at 2, A$1,409,000, in 2017-18, MRC Blue Diamond S., Gr.1, ATC Pago Pago S., Gr.3, MRC Blue Diamond Prelude (c&g), Gr.3, Cameron Thurley Bucks Day 2YO P., 4th ATC Golden Slipper S., Gr.1. Il Divo (g. by Dalakhani). 2 wins. See below. First Tothelign. 3 wins at 1200m, Singapore TC Graduation S., Dreyfuss S., 3d Singapore TC Benchmark 74 H.
PINS (Snippets). 7 wins-1 at 2-from 1100m to 2000m, A$1,733,895, VRC Australian Guineas, Gr.1, AJC Stan Fox S., Gr.2, MVRC Alister Clark S., Gr.2, VATC Autumn Classic, Gr.2, Zeditave S., L, STC Amber Kennedy Memorial P., 2d NSW Tatt's RC Ming Dynasty H., L, VRC Debonair S., L, STC Night Racing 2YO H., 4th Newcastle JC Spring S., Gr.3. Champion sire. NIPS (Snippets). 7 wins to 1500m, A$312,100, STC Shannon H., Gr.2, NSW Tatt's RC Tramway H., Gr.3, Illawarra TC Kembla Grange Cup Prelude, STC Swimming Pool & Spa Association H., 2d City Tatt's RC Emirates H., 3d STC Shannon H., Gr.2, De Bortoli Wines H., 4th VRC Newmarket H., Gr.1, Newcastle JC Newmarket H., Gr.3, MRC JRA Doveton S., L, STC Royal Parma S., L.
GAMESMAN (Eagle Eyed). 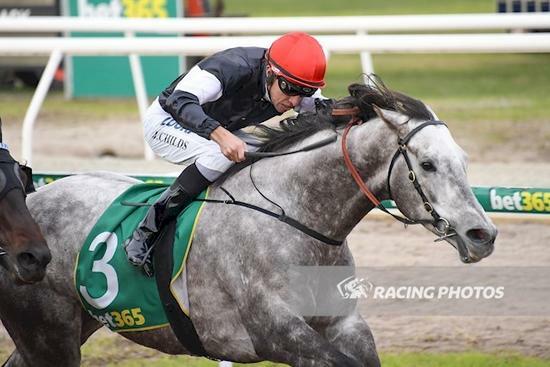 5 wins-2 at 2-from 1200m to 1900m, A$213,025, STC Premier's Cup, L, Magic Millions H., Diggers' Restaurant H., Blacktown Workers' Club 2YO H., Cronulla RSL 55 & Over 2YO H., 2d STC BMW Australia H., Holden Rodeo H., Good Guys Warehouse H., E-Check In H., Canterbury Hurlstone Park RSL Club H., Tooheys New 2YO H., 3d AJC Rogilla Welter H., Rural Fire Service H., Little Bay H., QTC Northern City Finance Lockyer & Downs H., 4th STC Kingston Town S., Gr.3. Race Record: 14 Starts 2-0-2 A$70,260. 2 wins at 1400m, 1900m in 2017-18 in Aust.